The 10 Best Places for a Kid’s Birthday Party in Utah! 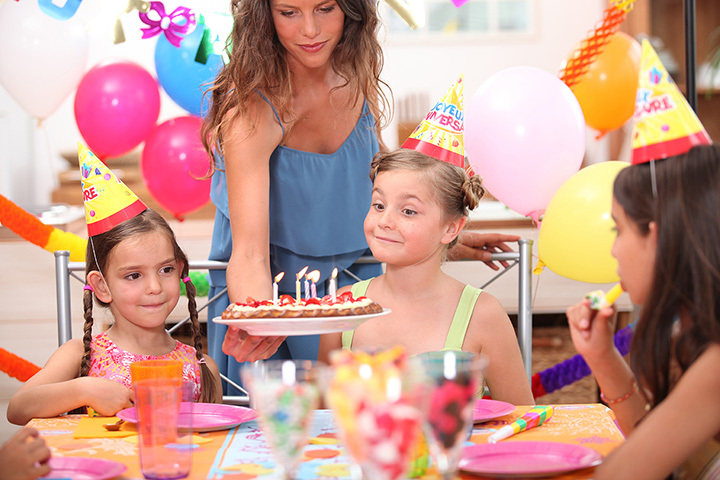 On the journey to give your child the birthday party of their dreams, you must first select an excellent venue to host the event. In Utah, you’ll find a variety of places eager to give your child a celebration they’ll never forget. From pottery parties and trampoline fun zones to museums and amusement parks, check out these 10 great places for a kid’s birthday party in the state. If your child is interested in arts and crafts, Color Me Mine is the ideal birthday party option. Here, you use acrylic paints to decorate ceramic pottery, which is then fired and available for pick-up a few days later. With a private birthday room, Color Me Mine also provides instruction. Kids can choose different ceramic pieces from a variety of price-points, but as the chaperone and paying customer, you get to choose what their selection is. For all the energy-filled children out there, it’s time to get your birthday wiggles out at Get Air Hang Time. A high-quality trampoline gym, Get Air Hang Time has foam pits, sumo-suits, various sized trampolines, dodgeball courts, and arcade games. You can even reserve a private party area, which includes tables, decorations, cake, drinks, and Dippin Dots, among other kid-friendly lunch options. Parents love educational birthday parties for their children. At the Natural History Museum of Utah, children love them too. And the best part? It’s an easy birthday party, given that the exhibits are enough to entertain children for a few hours. You can also let the museum take care of the birthday party details, including science-themed activities, hosts, and goody bags. The only think you provide is the refreshments. Gardner Village feels like Utah’s own Disneyland, or to be more specific, Utah’s own Fantasyland. You and your child can choose from a variety of different birthday party themes, including a “Chocolate Party” at the “Chocolate Covered Wagon,” a tea party at the Georgell Doll Shop, a paint party at the Art Cottage, a pony party at the farm, a cookie party at the “Naborhood Bakey and Café,” a jewelry party at the “Bead Farm,” a “Pamper Party” at the Cottage Retreat Spa and Salon, or a ballerina party at the Classical Ballet Conservatory.” Needless to say, this place is magic. A weekend hotspot for Utah Valley families and college students alike, Nickel City is home to what feels like every arcade game on the face of this earth. You can also play laser tag at Nickel City, which is one of the location’s birthday party packages. If you feel comfortable taking your child’s friends to swim, Fairmont Aquatic Center in Salt Lake City is an awesome location for your temporary birthday party school of fish. Kid-friendly water attractions and various pools ensure that your child and his friends will have a good time. The center also offers a private birthday room rental and accompanying party packages. Although there are multiple, Classic Fun Centers in Utah, the Orem location is legendary. Why? Its roller-skating rink is one of Utah Valley’s most beloved locations. You can host a birthday party here on the cheap, or you can choose to rent out the entire place for a more private event, though if you do that, prepare to organize a large party, because your kid will want to invite everyone. And if you’re worried about kids not having skates, Classic Fun Center (known colloquially as “Classic Skating”) has in-house skate rental. On the less-expensive side, birthday parties at the Treehouse Museum are nevertheless inevitable hits. Best for younger children, the museum has playgrounds, educational resources, and organizes private parties that you schedule and pay for in advance. Because it is such a popular birthday destination, you’ll need to make sure you call the second you know you want to schedule a party. Lagoon is Utah’s best and only amusement park. With all the old-time, carnival vibes and loads of great attractions, it’s a premier—and somewhat expensive—birthday party destination. If you’re looking to give your child and their friends a party they won’t ever forget, this is your place. Although it does have a train theme, the Train Shoppe isn’t just for train enthusiasts. Most of the Train Shoppe’s attractions are geared to children eight years or younger, but that doesn’t mean that its scenic railroad rides aren’t fun for older audiences. The Train Shoppe is all things wild west, and will keep you, your child, and your child’s friends entertained for hours. You can even rent private spaces that include passes and tokens for the Train Shoppe’s different attractions.